Living Among Warehouses, Community Fights to Breathe, by Jen Kinney, Next City, January 13, 2017. 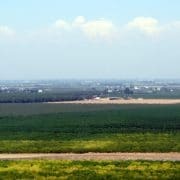 Located in the North Los Angeles, Antelope Valley region, Lancaster has suffered from unhealthy levels of smog, ozone (see Air Pollution), and dirty air for years. To address this, Lancaster has initiated various clean energy programs, led by Mayor R. Rex Parris, with a goal to make the city the “solar capital of the world.” The city was first in the nation to require that new houses include solar panels. It installed high-efficiency LED street lights, and it hosts an electric bus manufacturing facility. 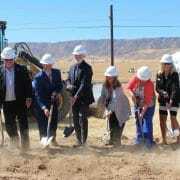 The single most powerful action Lancaster has taken to obtain affordable, clean energy is implementing Lancaster Choice Energy, California’s third operational Community Choice Energy (CCE) program. A growing number of local governments across California have established CCE, thereby providing cleaner electricity at lower rates for their communities. 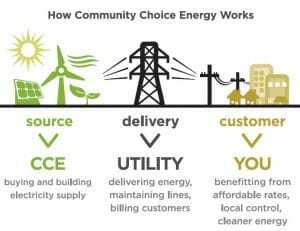 Is Community Choice Energy something that Tulare County and its cities should explore, especially in light of recent survey data showing that ratepayers are interested in more local, clean, renewable energy? Lancaster Choice Energy (LCE) launched in 2015 and reduced electricity costs for its 51,000 residential and business customers by 3 percent while providing cleaner electricity. When given a choice of LCE or Southern California Edison, 93 percent chose LCE, according to Energy Manager Patricia Garibay. CCE is a local, not-for-profit program that buys and may generate electricity for residents and businesses. The program is enabled by California law passed in 2002, allowing local governments (cities and counties) to take local control of millions of dollars of electricity generation revenue. CCEs give consumers choice, open up competition in the energy sector, and offer the potential for lower rates and a boost to the local economy. When it formed, LCE was unique because it was the first single-jurisdiction program, meaning that Lancaster alone created the Community Choice program. 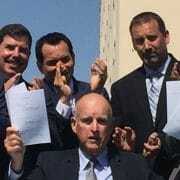 This contrasts with the first two Community Choice programs in California, in Marin and Sonoma, that formed as Joint Powers Authorities (JPAs). With JPAs, multiple jurisdictions come together to start and operate the Community Choice program. Each model offers advantages and disadvantages. LCE offers customers four energy options ranging from the choice to stay with existing energy providers to a 100% renewable energy option. Clear Choice offers competitive rates and cleaner energy. LCE and SCE have collaborated to produce joint rate and generation mix comparisons so that customers can have confidence about the claims being made. Lancaster residents and businesses praise the Community Choice transition. Monica Grado of George’s Cleaners remarks “Not only are we using cleaner energy sources than were available to us before – we’re using resources that are locally controlled. LCE has recently been 100% Green e-Energy certified from Green-e, the top independent agency for validating renewable energy generation. In other words, LCE is walking the talk when it comes to their promise on clean energy. By partnering with other enterprises like sPower, LCE has encouraged jobs and development of its own solar infrastructure. 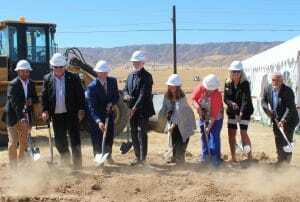 On August 11, 2016, Lancaster broke ground on a new 10 Megawatt solar generation facility which, upon completion, will provide enough electricity for 1800 homes. LCE won the City of Lancaster a $1.5 million grant for further development of renewable energy infrastructure. Also, LCE is partnering with the Antelope Valley Transit Authority to fully electrify the bus fleet by 2018, thus eliminating carbon emissions from public transit. With funding, sustainable infrastructure, and a wide, diverse base of public support, Lancaster Choice Energy seems perfectly poised to tackle its bold energy goals. Local actions like Community Choice Energy are part of a worldwide effort that must accelerate as climate-related casualties mount. Tulare County and other regions that are in desperate need of clean, renewable, and sustainable energy would do well to follow Lancaster’s example. LCE is willing to work with cities considering Community Choice Energy by sharing experience, guidance, and information, says Patricia Garibay. Tulare County should take up this offer. 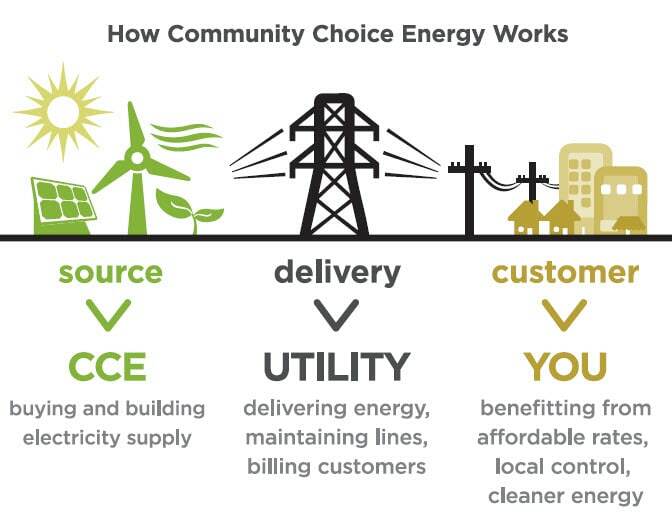 Being a part of Community Choice Energy offers a not-for-profit, locally controlled, innovative platform for advancing energy democracy, allowing our communities to actively participate and explore sustainable options. This is everybody’s planet. If it takes a village to raise a child, it will take much more to heal our climate. 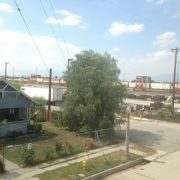 With Community Choice Energy we may be closer to realizing that dream. However this all plays out, it’s our move.